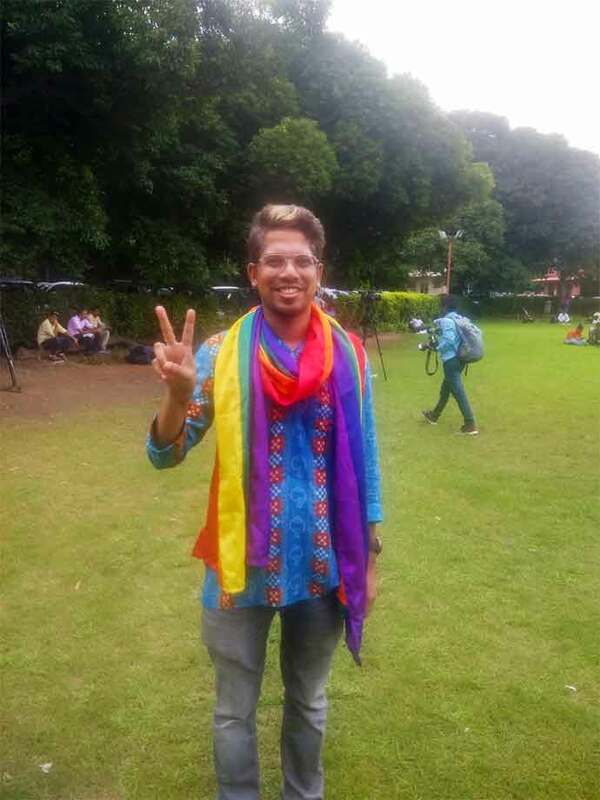 A loud cheer echoed on the Supreme Court lawns when the five-judge bench read their judgment on Section 377. The constitutional bench, headed by Chief Justice Dipak Misra and Justices Rohinton Fali Nariman, AM Khanwilkar, DY Chadrachud and Indu Malhotra, partially struck down section 377, Indian Penal Code — that criminalised sexual activities 'against order of nature'. The petition's focus was on homosexuality and if it can be considered under the purview of the right to privacy. The court's verdict — in four opinions — concentrated on individual rights of consenting adults and constitutional morality, irrespective of majority views. The judges quoted writers and poets, adding that the denial of self-expression is 'like death'. As points started to flash on mobile phones, the cheer only got louder and media personnel hastily prepared to broadcast live visuals of the erupting LGBTQ community celebration. A group called 'Nazariya' held up a banner with its members literally jumping in exhilaration. A joy for photographers who requested a repeat - and the group delightfully obliged. What followed were tears, hugs and group huddles. 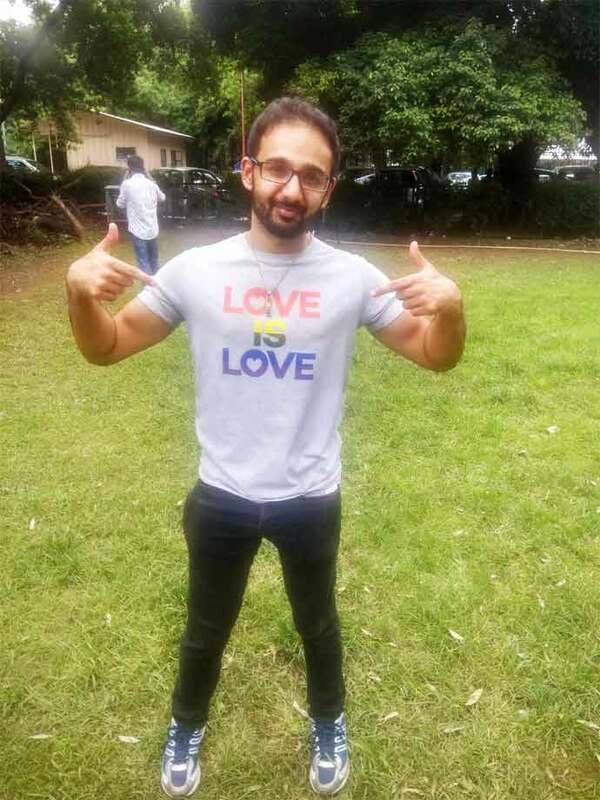 I noticed a young man, wearing a T-shirt that read 'Love is Love', vibrant in the shades of the rainbow. He stood there quietly, tears rolling down his cheeks, his eyes staring into the crowd. I walked up to him and as we began to talk, he remarked, "I am not a criminal anymore. This is relief'. Faraz Ali came out to his family a few years ago. The conservative mother was aghast and treated it as simply a rebellious streak. His life in Saudi Arabia diminished any possibility to reveal his orientation to his parents, but once back in India, he decided to take the chance. After elaborate confrontations spread over months, the mother has now come to terms with her gay son, even if the equation is uncomfortable. Ali is on talking terms with his mother, as long as there is no discussion about his sexuality. He, however, has a bigger concern. "My partner is still living discreetly. This judgment may encourage him to speak to his family, even if they may not accept his orientation right away. Society will take its own time to embrace us." A rainbow scarf wrapped around his neck, another man said, "Earlier there was a constant fear that I may be put behind bars or harassed by the cops, even if I was in my bedroom. That fear has gone. I am not a criminal anymore." There were over a hundred journalists, including foreign correspondents, rushing to take reactions of people forming the jubilant crowd. The world has taken note of a landmark decision by the Indian judiciary, as homosexuality remains illegal in several other countries. Most interestingly, reporters are traditionally expected to not take any sides on court verdicts. But watching our fellow citizens today being recognised for their right to love, without fear, really was a collective celebration. The Naz Foundation approached the courts in 2001. Since then, many activists led a long fight inside the court rooms and within society. Added petitions by luminaries contributed to a joint struggle in the public domain. 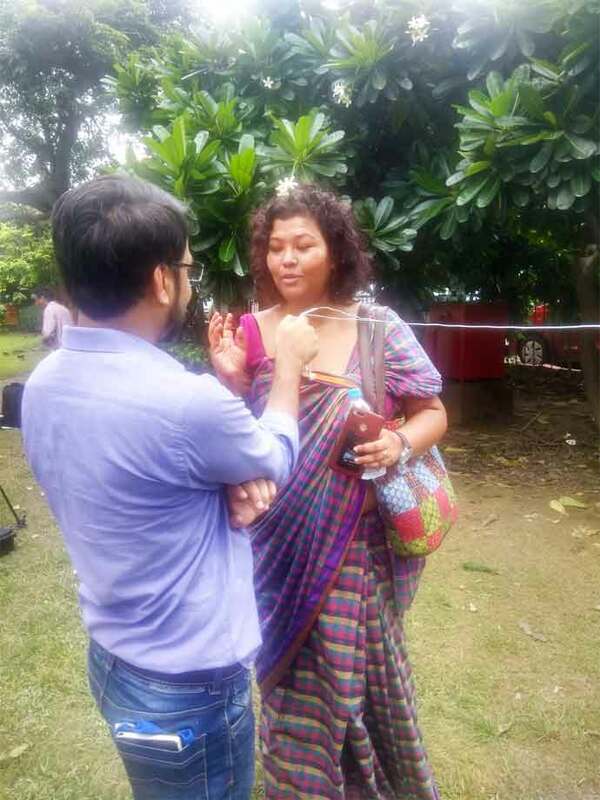 In a crowded gathering at 11.30 am, her mauve saree, tall frame and a peculiar nose ring set Rituparna Borah apart at court. She describes herself as a queer, feminist activist. "I was hopeful today and expected this verdict. The arguments were an inclination. But this is not an end to our fight. We have not yet discussed family laws - the right to marry, property inheritance and so on," said Borah. For some, the struggle has started now. The door to their closet is finally opening. Also read: Section 377 only partially struck down: What still remains criminal under the law?